Selling Art Passively Online with Artist Basia Stryjecka - CreatingBeautifully.com - start and grow an online business you love! Selling Art Passively Online with Artist Basia Stryjecka - CreatingBeautifully.com - start and grow an online business you love! So many artists are interested in selling art passively online, but there are few who do it successfully. So today I’m grateful to bring you this interview with artist Basia Stryjecka of Little Valley Studio. Her art is lovely, as well as her story! Jules: First, please tell us a little bit about yourself so we can get to know you. Basia: I’m originally from a small town in Poland called Zaklikow. It’s a quaint place surrounded by nature. As a child I spent most of my days roaming the forest, swimming in lakes and eating strawberries from my grandma’s garden. It was a place that would feed my imagination. When I was fifteen my family relocated to Michigan and since then this is the place I call home. Art and design fill most of my days but if I’m not working you can find me going on adventures with my boyfriend Chris, camping, traveling, cooking and cuddling with my dog Freddy. Jules: That sounds lovely! Please tell us about your career in art: were you artsy as a child? Did you attend art school? Or are you self-taught? I love your soft and subtle style: how did you hone your own style? Basia: I think my relationship with art might be a little different than maybe most artists. Often times you hear that someone was painting or drawing at a very young age, but that’s not really how it all started for me. I was always creative as a child and that creativity manifested in different ways, either through writing plays, acting, dancing or making puppet shows for my family. At school, we had art classes from a young age but as most art classes they were focused on drawing realistically, getting the perspective right and perfecting your shading techniques. I never felt that I was the strongest in those areas, so I thought that I couldn’t really be a painter or an artist. I was maybe thirteen at that time, I accepted that, moved on, and found other ways to express myself creatively. When it was time to go to college I knew I belonged in the art world but I didn’t know what exactly I wanted to study. I decided to take different classes at a community college. I took Design Concepts, which was a prerequisite for graphic design, and I loved it! The whole class was about making compositions with geometric shapes, creating patterns, thinking about color. Every project was done by hand, without the use of a computer. At this time I decided to pursue graphic design full time and minor in photography at the College for Creative Studies in Detroit, MI. I quickly learned that graphic design was much more than creating nice compositions with shapes, it was about communicating information in an effective way and problem-solving. I really liked that aspect of it so I continued with my studies. I also chose to take different art classes like drawing and bookmaking as some of my electives. After graduation, I found a full-time job at a small graphic design studio and for the first few years I was very happy with where my career was going. After about four years in I realized that something was missing. My job wasn’t fulfilling my creativity anymore. I really wanted to have more projects that were hands-on. In my free time, I started to create small paintings. They were mostly geometric in nature. I always loved the way watercolors looked, and once I started to paint with them I discovered a medium that works really well for me. From there, my style naturally evolved through experimentation and play. Changing from geometric to more abstract and loose. I find inspiration from the places I’ve visited and from where I grew up. Also, once I started my Etsy shop my style has evolved, once you see customers being drawn to certain paintings, you want to continue to explore that more and see where that can take you. I still go through phases of doing a really soft abstracted landscape and the next day doing something more bold and geometric. I think it’s the graphic designer in me that still likes to pursue that. Even though some of those paintings are not my most popular, I still get inspiration from these visual experiments. Jules: I love experimenting, too! When did you decide to start selling your art on Etsy? Did or do you sell it in others ways, too? Basia: I started to sell my work on Etsy about a year and a half ago. After creating few initial paintings I decided to put my work out into the world. It was difficult to try not to overthink if my work is good enough, especially because there are so many amazing artists on Etsy or other online platforms. I had nothing to lose though, and I was open to the whole experience. I hadn’t shown my abstract work publicly, other than to my family and friends at that time, so I definitely felt vulnerable in that aspect. The first two months were very slow. I think I only sold one print the whole time. After two months I decided to change the direction of my work. I created some monochromatic pieces that really shifted the way my Etsy shop was going. I started to see sales more regularly, and after about two more months I was making multiple sales every day. I was so excited that people were enjoying my work! Although Etsy is a great way to make extra money, I still have a full-time job working at the graphic design studio I mentioned before. I’m currently working on diversifying my income and branching out from Etsy. Putting all my eggs in one basket would not be the best idea. I’m hoping that in the near future I will be able to call my passion a full-time job. Jules: I noticed you sell both printable art and physical prints and products. Which came first, the printables or the physical products? I see you also offer tea towels. What made you decide to include those? 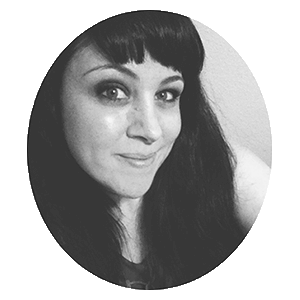 Basia: I decided to sell printable art first, but high-quality giclee prints have always been an option for my customers. Etsy, unfortunately, doesn’t make it easy to purchase digital files or printed versions within the same listing, so I had to work around it and create one separate listing for my printed art. Most of my customer love the idea of purchasing digital prints that they can print wherever they want. There are so many great places online to get my artwork printed or even framed. It usually ends up being a very cost-effective way to purchase unique art. Recently, I added some tea towels to my shop, as I wanted to see if people were interested in other forms of my work. I also like to add a few physical products around the holidays, this one was with Mother’s Day in mind as I know most people like to purchase physical gifts. I’m definitely planning to add some more physical products later this year. 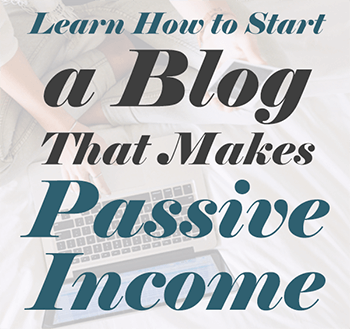 Jules: Passive income seems to be the holy grail of online business owners. I see that most of your items are instant downloads and therefore more passive, but what is it really like to have a “passive” printables shop? Basia: Even though my items mostly consist of instant downloads there is still work involved on daily basis. I think Etsy customers are still pretty new to digital prints so a bulk of the work is answering questions. I have a section on Etsy with tips on what paper to use, where to print etc. but people often prefer to double check through direct message. Also, questions on customizing sizes and recommendations of prints is something to be expected when selling on Etsy. Another part is just keeping your shop fresh and exciting by adding new work. Returning customers are looking for new work and I like to keep them in mind. With so many options to buy art on Etsy, you don’t want to risk letting your shop sales go down by not keeping up with it. Once you fill up your shop with a good selection of items, then I think at the very least updating your shop seasonally is a great way to go. Jules: If someone were interested in selling art passively online, what advice would you offer them? Basia: If you’re interested in selling printable art, I would recommend that you take a look at what everybody else is offering and try to create something unique and different from what is already out there. There are already many printable shops on Etsy, and I think that in order to stick out of the crowd you have to find your own niche. I think it’s also important to create a product that is going to appeal to the modern customer. I would not necessarily say that it should be trendy, because a trend can pass so quickly, but something that is current. Another tip would be to set small, achievable goals every month. I think if you expect to make regular sales right away, it’s probably not going to happen. If you love what you’re doing then stick with it and be open to change. Let your work evolve if needed. Jules: I love that advice! I know that Etsy has millions of built-in buyers, but do you market your shop as well? If so, how? Basia: I mostly rely on the tools that Esty provides, such as promoted listings and google ads. Pinterest is a great way to promote your art because many people are already looking for inspiration to decorate their home. I do use Instagram but I certainly could be more consistent with how often I post. This is my goal for the next few months, as I think it’s a great free tool that helps drive traffic to your shop. Jules: I agree – especially about Pinterest! What is your favorite thing about selling on Etsy? And your least favorite? Basia: My favorite part is that like you said, there are many built-in buyers. I think printable art is unique to Etsy and if someone is looking for this type of product they are going to search Etsy. I also like to be part of the creative community. My least favorite part is that some of the tools could be a little bit better. Etsy only allows to upload five files at 20MB each for each digital product, this doesn’t seem like enough to me. There are also many copy-cats that try to recreate your work. This does keep me on my toes and keep me creating new art pieces, but still, it’s pretty frustrating when you see that happen. Jules: UGH. Copycats are the worst! Well, how about some “just for fun” questions: What other artists inspire you? Basia: Some of my favorite visual artists are Gustav Klimt, Joan Miro, Charlie Harper, Clare Elsaesser, Stella Maria Baer and Chris Pottinger. Jules: Do you listen to music/podcasts/audiobooks or anything else while you paint? When I paint I usually listen to music through Spotify. Some of the albums I’ve had on repeat lately are from David Bowie, Francoise Hardy, Mulatu Astatke, Fleetwood Mac and a few soundtracks like the one from Lost in Translation and Fantastic Planet. Also, when I’m editing on the computer I like to listen to podcasts. Some of my favorites are Radio Lab and some true crime ones like Up and Vanished and Serial. I have also listened to a few episodes of the Etsy Success Podcast for anyone interested in learning more about running an Etsy shop. Jules: And your favorite art supply/supplies/brand? Basia: I usually shop at Blick for art supplies. Right now, the brand I like best is Windsor and Newton. Jules: Do you have any favorite Etsy shops? Basia: My favorite shops on Esty are Soul Vessel Designs, The Ivory Gull, FriendlyToys, and The Link Collective. Jules: Last but not least, where can people find you online? Thanks so much to Basia for this interview and letting us peek behind the curtains of selling art passively online on Etsy! Very inspiring. I am more inspired to focus on my printables on Etsy after this post. P.S i sent you two email months ago but I don’t know if you received them.